Promoting Woodwind Quintet Music of the Western hemisphere for 40 years! concluded with a concert in December. We have had the honor and pleasure to work with composer Lev "Ljova" Zhurbin in this multi-generational project that involves elementary school recorder players from PS. 69, the chorus from PS 149, The Jackson Heights Orchestra, conducted by Patricia Glunt, and seniors at the Catherine Sheridan Senior Center. Ljova has written a four-movement work which has an overall theme of birds. Ljova wrote the first movement based on interviews with the seniors. The next movement, based on the white-throated sparrow's call is for the recorder players and the quintet, another movement is for the quintet and the orchestra, and the last movement brings everyone together, first with the chorus and quintet and then joined by the orchestra and recorder players. We are thrilled that this project was awarded a grant from the National Endowment for the Arts which has funded the composer's commission as well as workshops with all the groups, including people of all ages representing a very diverse neighborhood! Composer LJOVA (born in Russia, and immigrated to New York in 1990) has written more than 120 compositions for classical, jazz, and folk ensembles, as well as scores to four feature and over a dozen short films, and music for contemporary dance. 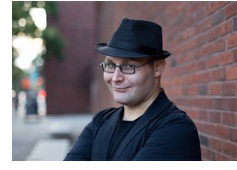 He leads his own ensemble LJOVA AND THE KONTRABAND, and works as a freelance violist, violinist & musical arranger. Recent commissions include the City of London Sinfonia, The Louisville Orchestra, Brooklyn Rider, Yo-Yo Ma and the Silk Road Ensemble, The Knights, as well arrangements for the Los Angeles Philharmonic, San Francisco Symphony, Detroit Symphony Orchestra, tenor Javier Camarena, conductors Gustavo Dudamel and Alondra de la Parra, the Mexican songwriter Natalia Lafourcade, Argentine composer/guitarist Gustavo Santaolalla, Kronos Quartet, and others. Past works for Quintet of the Americas by Ljova include "Lullaby and Memory" based on interviews with seniors in Jackson Heights, "Click" for students and wind quintet "Rockaway Baby" inspired by interviews with disabled seniors at Peninsula Rehabilitation Center in Rockaway. 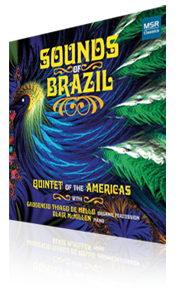 The Quintet announces the release of its exciting new recording, SOUNDS OF BRAZIL, on the MSR label. The music includes choros, lullabies and songs by Gaudencio Thiago de Mello who performs with the Quintet on his unique organic percussion from the Amazon. Thiago plays with the Quintet on works by Ernesto Nazareth and Pixinguinha as well. The Quintet is proud to include Changes, a work they commissioned by Brazilian-American pianist and composer Marcelo Zarvos. Rounding out the CD is Ventos, another Quintet commission by a gifted young composer on the New York scene, Ricardo Romaneiro. Guest artists include Blair McMillen on piano and Scott Kuney on guitar. Karel Husa Recollections on the New World Records label. Dancing in Colombia on the MSR Label - 15 Colombian dances including bambucos, pasillos, bundes and paseos. Discovering the New World on the MMC label - music from the Carnegie Hall Concert (Louis Ballard, William Thomas McKinley, Roberto Sierra, and "America (Suite Popular)" - Ilan Rechtman). Souvenirs, 20 Musical Mementos from the New World on the XLNT label - Samuel Barber's "Summer Music" and many Quintet favorites. 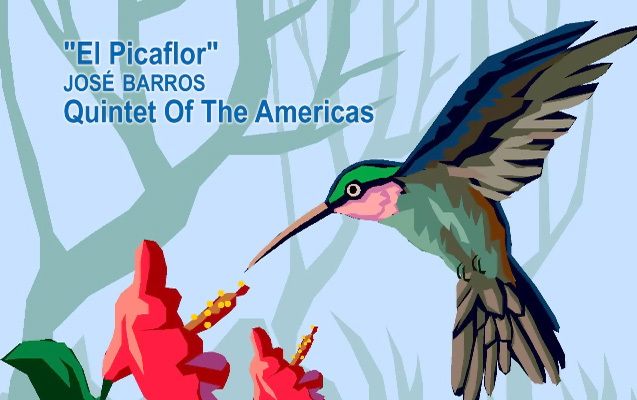 Watch the Quintet play in "El Picaflor"
with support made possible through the JPMorgan Chase Arts and Culture Regrants Program.